Although not much of a reader until my late 20s I do enjoy reading now. Children have slowed my passion down a little but now I enjoy it all the more. Quite frankly as a stand alone this is the best fiction read yet. Given this plonks you into a time when you only know of one character you immediately fall in love with pretty much everything in this book. From the ridiculous mindset of the Lothari Empire held together by a stringent and cruel ultra-capitalistic code to the traditional Tiste Edur. The first mention of the Lothari legalities had me in stitches early on when we are taken to the docks. Both groups have their significant flaws which Erikson delves deeply into given the social implications of the book a really nice edge that is layered magnificently via the character building. The characters were brilliantly done. Bug and Tehol were absolutely fantastically done. I really hope these two make another appearance later in the series. I don't want to give too much away in regards to these two but the opening scene with two had me in stitches and continued throughout. I enjoyed the development of our protagonist Trull. We meet his family (proud nobility mother, father and four sons) including Fear and Rhulad. Both are remarkable in their journey throughout the novel and are nicely weaved into the story. Others in the story like Tehol's two brothers are also quite interesting. The way the Azoth changes in the novel is quite interesting too. It leaves you wondering what implications this has on the rest of the book just like the new batch of demi-gods, the remnants of the Crimson Guard, and their leader Iron Bars' actions in the Divers' temple (well we know what happened there partially in book two but I am sure there is more to come). Anyhow this truely is a fascinating read. Erikson delivers the perfect amount of detail and continues to slowly unwind his world in pleasurably style which is very easy to be enveloped into. 10 out of 10! Reading progress update: I've read 550 out of 940 pages. 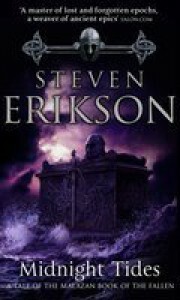 Midnight Tides - Steven Erikson : I didn't think the last book could be bettered. I was definitely wrong! Erikson is a master crafter of story telling. The way Erikson intricately weaves his plot is stunningly brilliant. I really do not want to give things away here. A mysterious flooded warren? I thought what on earth. Then later on mind blown. A floating skeletal bone dragon from book 2. Ah starting make a lot more sense, There is so much going on in these books. The series is definitely not for the faint of heart. But if you like a really intelligent good read that is thought provoking then these books are for you. I enjoyed the first two books but the ending of this book was a bit meh to say the most. I know Brent is a new author and hopefully his next series finish with a bang rather than this. I enjoy a good read. I like good well written and insightful theological, fantasy, historical fiction and non fiction alike. This was the least favourite thus far in the series for me but do not give up! 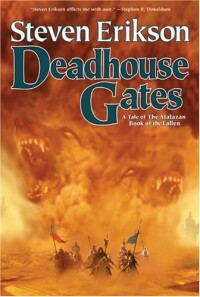 The Deadhouse Gates is an interesting book and one that is quite the dichotomy. 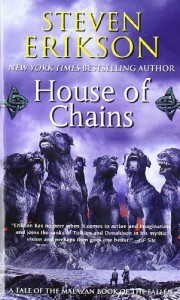 The chain of dogs story as well as Felisin's arc was a tough slog. Then you get gem arcs revolving around two very old and odd travellers as well as a few known characters in Kalam, Apsalar, Fidd and Crokus. So please take heed of the title. Read on friend as the gold pit that awaits you will be special if you pay attention. Much of the story will give you a few easter eggs of what is to come in the series particularly what is waiting in terms of our friends the Bidgeburners as well as the interesting Anomander Drake and the interesting fellowship in Darujhistan. These interludes can make for some complex reading. I am not sold on how daft and unconvincing Felisin is. I think I will need to read her arc again and see how convincing she is. I do quite like some of the elements that arise from her arc though but do not want to spoil such for those who have not read the book. Kalam's story is top shelf and my second favourite part of the book which does pertain to a fair portion of this book. The biggest gem for me occurs toward the end of the book when the old travellers meet some interesting companions. The moment was a watershed one for me within this series. You realise just how damn big this series world is. Mind officially blown! On top of all of this, Steven Erikson really is a wonderful writer. 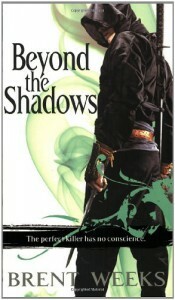 He and Sanderson exceed anyone else I have read in the fantasy genre. These guys are master craftsmen. The simple way in which Erikson utilises a paragraph, sentence or phrase to deliciously describe a scene is magnificent and very satisfying. A small smirk can make all the difference in reading a story. Just today whilst reading the fourth installment of this very series I came across a few examples. One simply described a dog's stature comically: "Beside Him lay the scrawny Hengese lapdog that Truth said was named Roach. 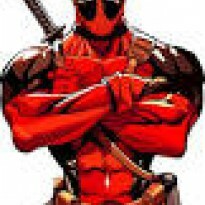 The bone the creature gnawed on was bigtger than it, and had that bone teeth and appetite it would be the one doing the eating right now." Hang in there as you will be well rewarded I assure you. I almost lost my s**t and put the series down. Do the series the service it deserves and see it out.